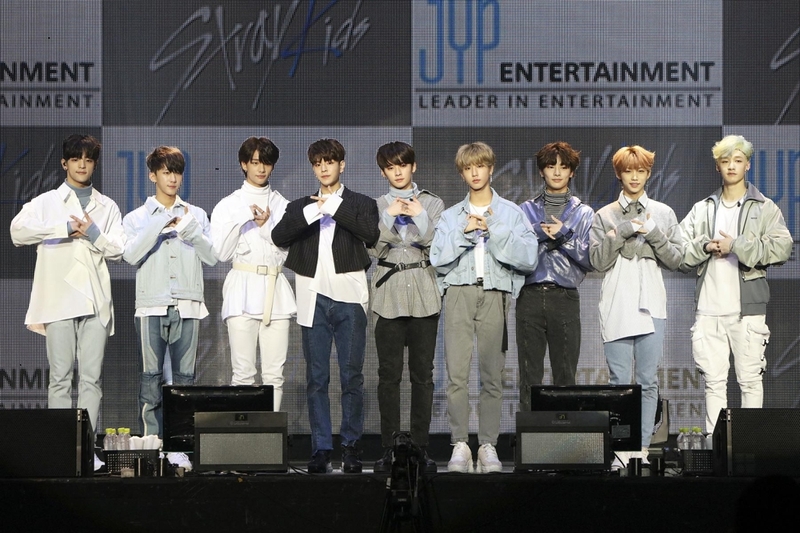 SEOUL, Oct. 22 (Yonhap) -- Stray Kids, the new boy band formed by JYP Entertainment, will release their third extended play titled "I am You" on Monday. The eight-track album is fronted by a lyrical hip-hop number with the same name, "I am You," composed by JYP's inhouse producing team. It will be released on major online music stores at 6 p.m. The album is the latest on Stray Kids' "I am" music series that deals with a quest to find one's identity. With the theme, the boy group released its debut album in March titled "I am Not," followed by the second EP, "I am Who," unveiled in August. "'I am You' is an album, with which (fans) can confirm Stray Kids' ability to pursue a musical narrative," according to JYP. Stray Kids is the first boy band created by JYP in four years. The band was formed from finalists of Mnet's idol survival audition show "Stray Kids," which aired last year. The other tracks of the new album include "YOU.," "Get Cool" and "0325." Ahead of the official album release, the nonet hosted a showcase at Olympic Park, located in southeast Seoul, on Sunday. "We are a group that exists thanks to STAY," the members said during the showcase, referring to their fan community. "We want to be a group that can move the hearts of fans and the public."